A while back, I got invited to my city’s recycling centre. It was an amazing experience learning about all the different sorters. I did a drawing of the process in my graphic illustration portfolio, check it out if you’re interested. I took a bunch of photos, and these two are my favourites. One is this two-storey tall structure in the recycling centre, it has a conveyor belt on top and the people who sort, push items into the bins a storey below. 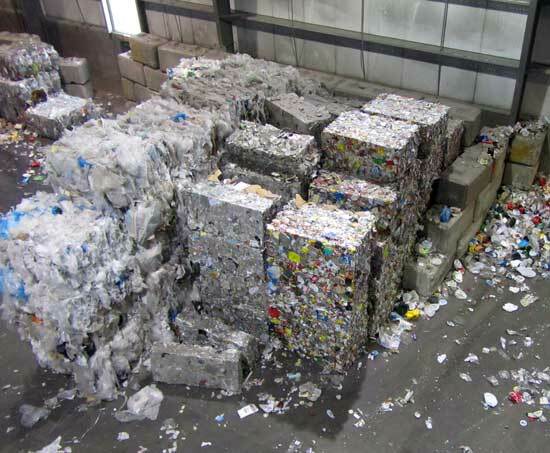 The other photo is bales of plastics, one is detergent bottles, the other–milk containers. The recycling centre is a great experience, a real eye opener. Everyone should have the opportunity, it will make a better recycler out of you and help you appreciate what you have and throw away.